Just Sold! 6 West Way - Compass Rose Real Estate, Inc.
Closed on March 13, 2019. Compass Rose is keeping the momentum going with another sale! Our fearless leader, Cynthia Lenhart, closed the sale of 6 West Way at $1,252,000. 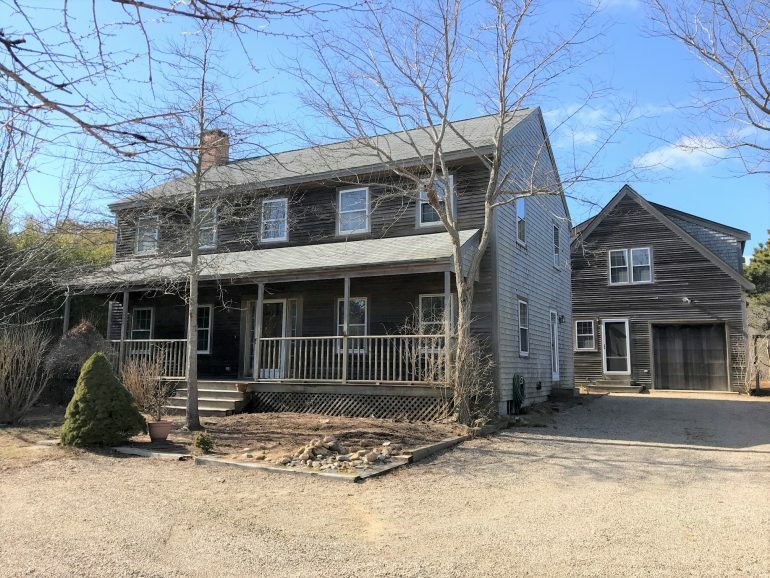 This “Fisher’s Landing” house & cottage at 6 West Way is a wonderful property tucked nicely in the pines with a trail across conservation land to North Shore beaches just down the lane. The Main house has 4 bedrooms, 3 bathrooms and the cottage 2 bedrooms and 1.5 baths. Community tennis & basketball courts, boat storage, and easy access to Madaket Harbor at Warren’s Landing for kayaks, sunfish, etc. are all perks of this terrific neighborhood association. I understand the new owners are very pleased with their purchase!